Launch your own custom branded video apps in days, not months. 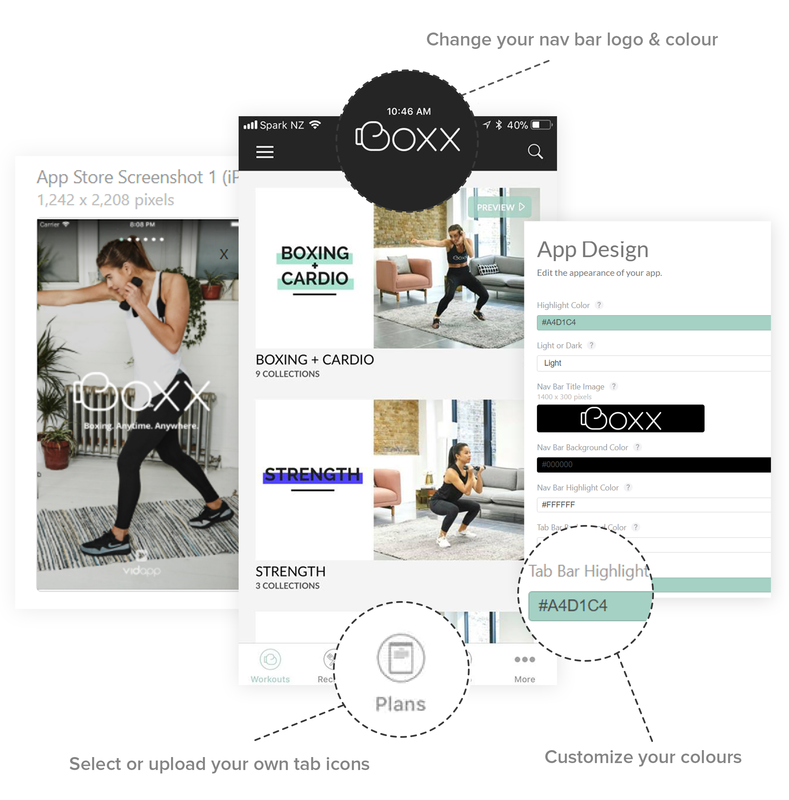 Our proven designs and specialty integrations will make your app creation experience a breeze. Designing and launching the perfect video app is complicated, but our expertise will guide you from start to finish. Once launched, unlike traditional developers we'll support your apps by making sure they stay modern and handling all app user support. Get in touch to tell us about your project and how we can help. 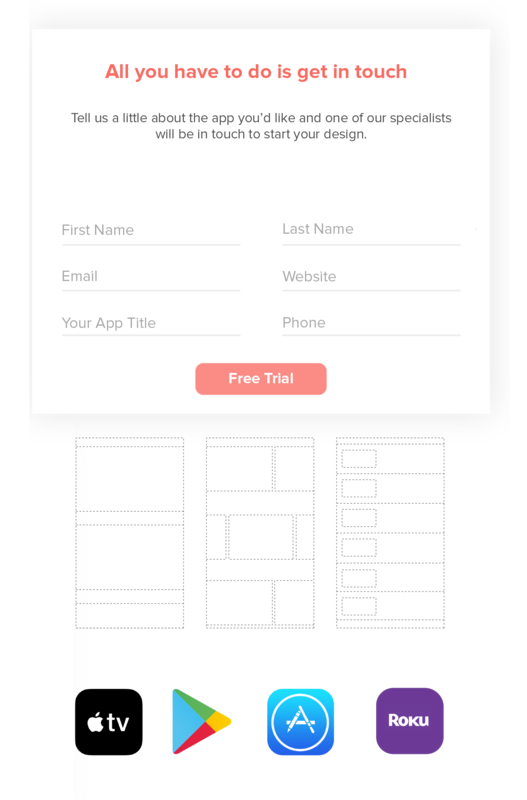 Select your display templates, in-app features and the platforms you would like to explore. 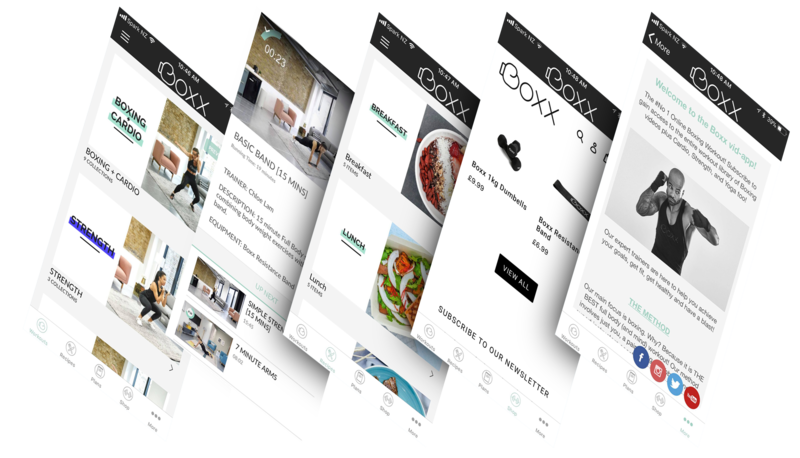 We'll create a free basic test version using your content, branding and imagery. Completely risk free, experience your brand and videos the way your audience wishes they could. 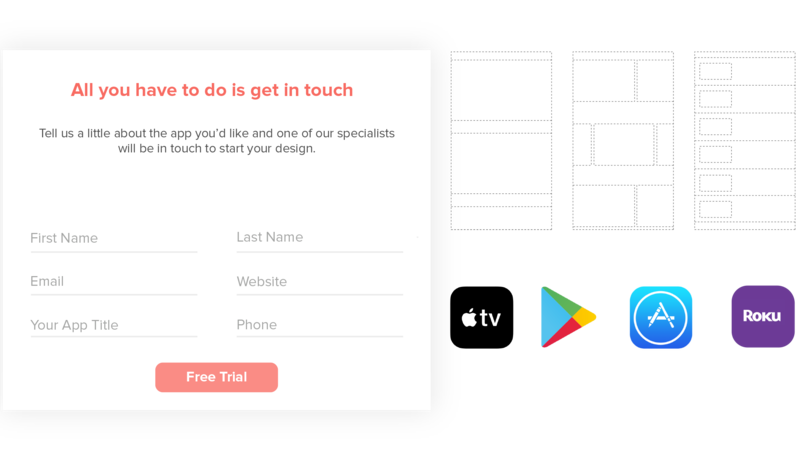 Simply finalize your designs, integrations and in-app features before confirming your pricing plan. Once the details are confirmed then we'll get to building! 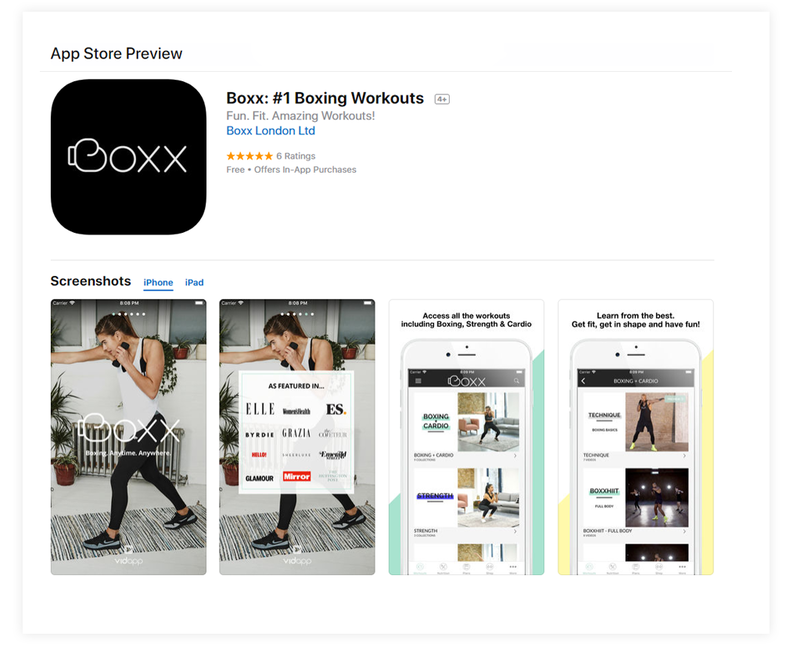 The App Store review processes can be extremely difficult to navigate. We'll work your apps through the review process to make sure they're launched to the world! Unlike traditional developers, our monthly support plans ensure we'll keep your apps live at all times and updated with new features and designs. Plus we handle all app user support! No expensive fees to update or maintain your apps. Easily upload new content, make changes all on your own or ask us for a hand. Never worry about your apps becoming outdated and out of style. We release new designs and features that you’ll automatically get access to. With the number of device and software combinations, app users always need help. We’ll take care of app support so you have more time to focus on your business.